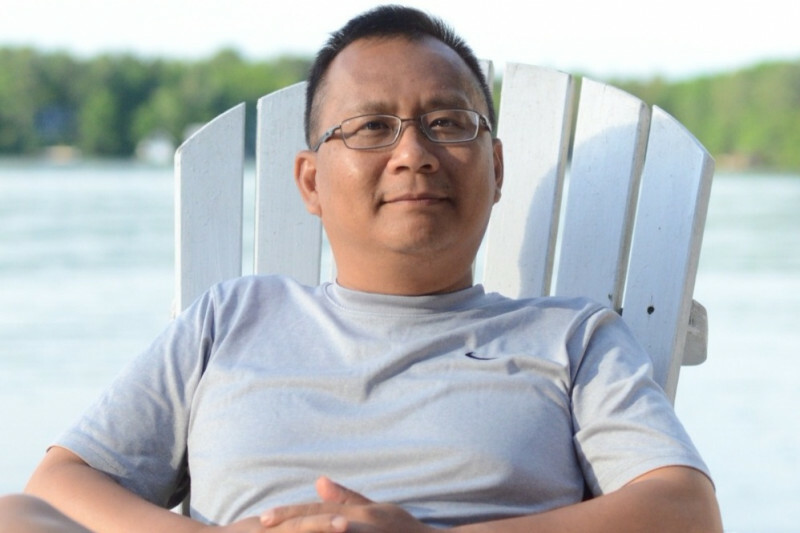 After a long and courageous battle with cancer, Minh passed away in the early morning of Saturday, February 24th. He died peacefully in his home, as he wished, surrounded by loved ones. "Life is not measured by the number of breaths you take, but by the moments that take your breath away." 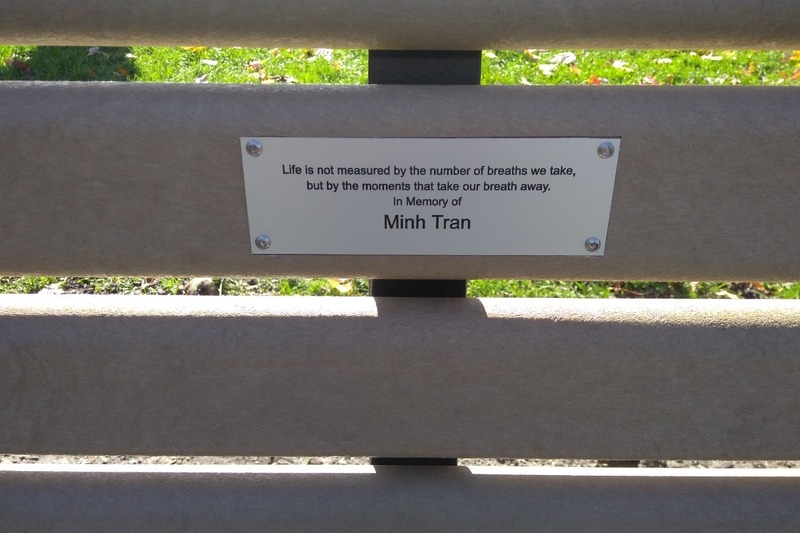 That was Minh's favorite quote and he lived it – filling his life with things he loved most: music, travel, movies, Lego, books, food and above all, his family and friends. Minh gave himself fully to the causes and people that mattered most to him. He devoted his life to teaching and sharing his love of learning with countless students in his twenty years as an elementary school teacher and librarian. At home, Minh was a devoted husband, partner and best friend to Kristen Mclean. They met while teaching together in 2004, were married in 2010, and have traveled to over 20 countries together. Minh was also a devoted brother to Anne, son to his late mother Chi, his father Mau, grandson to Lang Tran, and a loving nephew, cousin and uncle to the family who all adored and looked up to Minh. In lieu of flowers, we are collecting contributions to place a bench and plant a tree in honor of his memory and donate to his favorite charities. Thank you for everything you taught us. We will miss you so very much, Minh. You are gone too soon. Wish You Were Here. Thank you for all the support through Minh's illness and with his passing. These last months have been hard. We miss him so much. We do our best to honour him by living each day as he would, cherishing beautiful moments with friends and family. As per his wishes, we scattered his ashes on a mountain this summer. We made sure to pick a breathtaking area on the tallest mountain in North America (Mt. Denali, Alaska). Thank you to all who donated to his memorial fund. 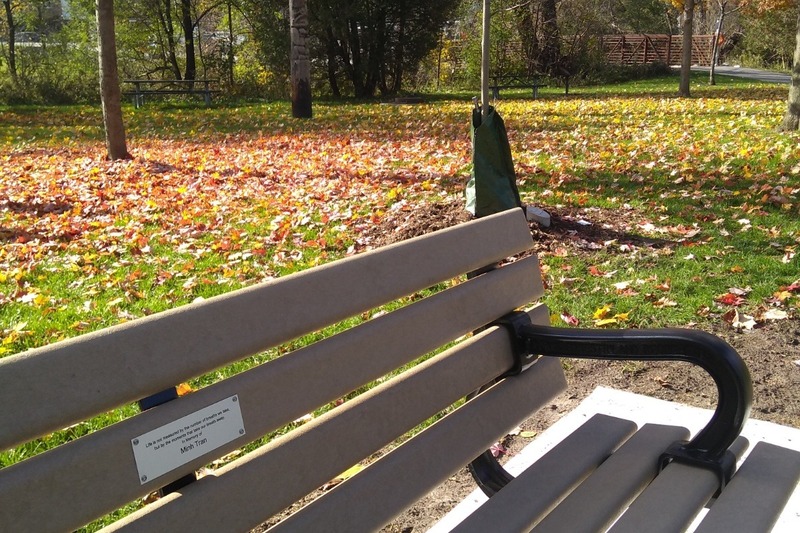 After commissioning a memorial bench, plaque and tree for Thomson Park ,we had $1000 leftover to donate the Princess Margaret Cancer Centre and Sick Kids Hospital. The bench and tree are located in a quiet part of Thomson park near a stream and totem pole (see pictures attached). It really is quite beautiful and a lovely place to go to remember Minh. There is a picnic area across from the bench and we will invite you all to meet us there on a warm day to celebrate him and be together. We're missing some email addresses. Please message me if you'd like to receive an invitation to the event in the spring. 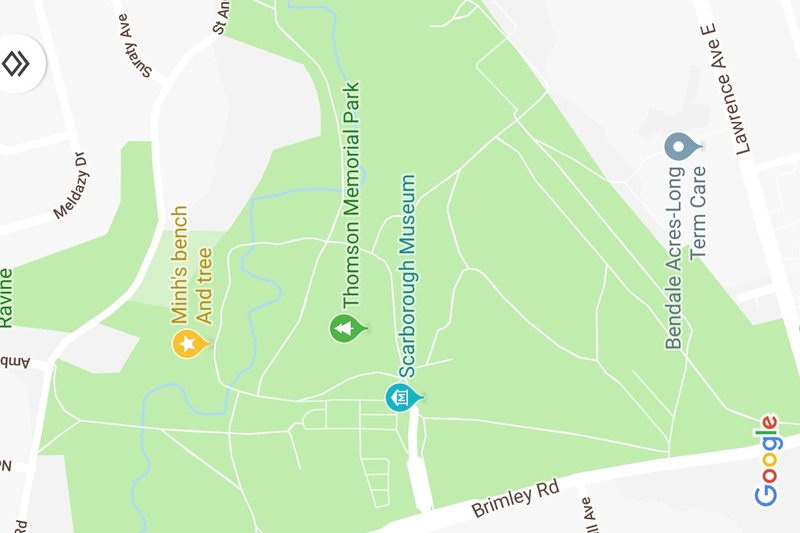 Please see the map attached, if you wish to visit the bench and tree on your own.